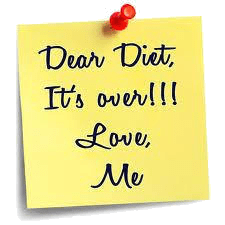 Out of the 45 Million Americans that plan to go on a "diet" this year, 95% will regain everything they lost and then some within 1 to 5 years. (1) While this is a harsh statistic, it reflects the truth of the $61B weight loss industry in America. (2) With this is mind, one can see that the typical "dieting" approach to weight loss & maintenance is broken. But how can we fix it? Read on to find out some more sustainable methods to ensuring long-term nutrition success. The weight loss industry wants us to believe that you can get quick, lasting results from various fad diets, detoxes, cleanses, you name it. While many times these methods work in the short-term, when the dieter returns to their normal ways of eating, they reverse any progress they have made. The word 'diet' literally means, the kinds of food that a person, animal, or community habitually eats. It doesn't mean severe calorie restriction or liquid only diets. The goal here is to change those foods that you habitually eat, to promote a healthy body weight for life. This can be done mainly through portion control which eventually allows you to eat more intuitively. Meaning becoming more in tune with your body's natural hunger signals. There's no short term approach that will yield long term results so step 1: DITCH THE DIET. What lead you to want to improve your nutrition in the first place? Was is being able to keep up with your kids or to improve your health markers? Whatever the reason may be, it had to be greatly motivational to get you to take that first step. Whenever there is a time when you feel like giving up on your goals, or feel like eating a whole pizza instead of a slice, just remember the reason you started. This will help put things in to perspective and get you back on track. Lastly, do not discredit the progress you have made so far! It's never easy, but it's worth it. While nutrition plays a big role in weight changes, it is not the only important factor. Physical activity also is a large contributor. If you have had weight loss success it is highly likely that you have implemented some kind of workout regimen whether it be running, cycling, lifting weights, crossfit, etc. It is not good enough to exercise just until you reach your body composition goals. Physical activity must become a part of your everyday life in order to maintain your current physique. This can be a combination of aerobic (running, biking) and resistance (weights, bands, bodyweight) exercises. Aerobic exercise provides a solid calorie burn and improves respiratory & circulatory health, whereas resistance exercise provides a muscle building stimulus. Muscle is our friend is this circumstance because the more muscle you have, the more calories you need to fuel it and the more fat burning capacity you have. This allows you to eat more calories while maintaining the same weight. So once you reach those nutrition and fitness goals, don't stop! KEEP IT MOVIN! Along with the successes, there are going to be setbacks. This is inevitable and a regular part of life. The key here is to be prepared for those setbacks. For example, around the holidays, you know there are going to be a lot of tasty, high-calorie foods around. While this is a great opportunity to use your portion control skills, you will likely gain a few pounds from eating different than usual. Or maybe your are going through a stressful time in your life and don't have as much time to go grocery shopping and prepare your own food. These are both situations in which your nutrition may not be a top priority and you may gain a few pounds. 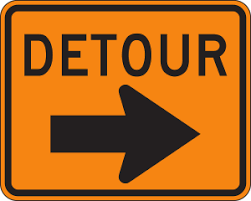 The key-point that sets apart a setback from a relapse to your old habits, is your awareness of the situation. Once the holidays or the stressful time in your life are over, it is important to get right back to the good nutrition and fitness habits that you have previously established. If you can properly manage setbacks, they will not drastically effect your progress in the long run. Weight on the scale is not the only factor that can reflect progress when setting out on your nutrition and fitness journey. There are other variables that can be tracked over time to determine overall success. Many people can benefit from keeping a food log or tracking their foods via an app. This allows you to keep a running tally of foods eaten throughout the day and how they make you feel. If you follow a more macronutrient based approach, tracking your foods will allow you to see how many protein, carbs, and fats you consume on a given day. For more on that check out the article I wrote on Flexible Dieting. Body measurements can also be a useful tool to track progress, the most popular being waist circumference. If the weight on the scale is not moving there is a great chance that you have gained muscle and lost fat, making your weight remain almost the same. 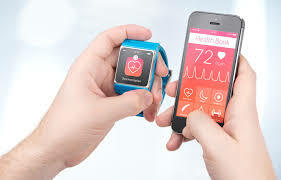 (This is because muscle is more dense, and weighs more than fat) There are also many different types of activity monitors out there now that can give you a measure of how active you were on a given day. Using all of these tools together you can get a better picture of the progress you are making. This allows you to learn what works and what doesn't. KEEP TRACK OF PROGRESS! These are the methods I believe to be most effective in ensuring long term nutrition and fitness success. Of course having a coach can also be another great tool to ensure success by providing accountability. The main point I would like to reiterate is: nutrition and fitness are not a sprint, they more resemble a marathon. If you take small steps each day to work towards your goals, YOU WILL GET THERE! Use the tips I mentioned above to stay there and get even better! Do you have any other methods that you use to ensure success with your nutrition and fitness? I would love to hear, please comment down below. Until next time my friends, BE ELITE! ← Caffeine: How much is too much?